What is Social Sentiment Analysis & Why Does it Matter? Early metrics used to measure social success don’t give your brand the data you need now – at least not on their own. For a comprehensive picture of how consumers view a particular topic, like back-to-school shopping, you need emotional insights too. What is sentiment analysis? Why does it matter? To run effective campaigns, score qualified leads and turn those leads into customers, marketers need to know more than just what their audience is saying on social. They need to understand the emotion behind the words, and what is driving the desire to post, and, especially, to purchase. Social sentiment analysis is about identifying consumer emotions surrounding a particular topic and uncovering how they impact consumer behavior with regard to your brand, your competitors, and your industry. It’s major. It’s what makes your social media analytics data more than just ink on the page of a weekly report. “As a business owner, you want data that is actionable – that shows whether someone liked their food or if they liked your menu,” says David K. Williams on Forbes. As Williams’ distinction indicates, sentiment analysis is about the details. It’s also important because consumers don’t want to hear from you via “ads.” Promotional messaging just interrupts their social experience. To engage with social consumers – especially those who aren’t actual customers yet – you need to connect to them the way their friends and family do on social media, because that’s one of the biggest reasons they’re on social to begin with. Understanding these two components gives you serious power to connect with your audience on their level – and that’s what they want. From the people with strong positive emotions, you get repeat customers and brand advocates/influencers. Aim to keep this group of people happy by offering loyalty rewards and discounts in addition to friendly social conversation – “Hey, we’re friends!” And be careful not to tick them off. Those with strong negative emotions should not be ignored – whether they are temporarily dissatisfied customers, or seriously bitter former customers. In the former case, a little social customer service is warranted – and that’s why real-time social analysis is so crucial. You want to catch consumer complaints before they go viral. Or before they become the latter type – so angry they post lengthy negative reviews wherever they can, and add disparaging puns to your slogan, sharing both all over social. With the “Bitter Bobs and Bettys” you need to gauge when no comment is the best response and when an apology is warranted. When you are wrong, the first thing to do is acknowledge and offer to make up for it ASAP – unless doing so will enflame the situation. Most of the time, you will need to respond. Whenever you do, your response should be as prudent as possible. People with neutral emotions need a different kind of attention. Do they just not care, or has something rubbed them the wrong way (and they’re just not sharing)? How can you connect with them? The answer is, by looking at the things that move them, and targeting them with individual messaging that speaks to those passions. It’s not about your brand – they know who you are from your @handle or page name. It’s about them – and acting like a human, not a marketer. Marketers and brands have objectives they need to meet, of course. So how do you use social listening tools, and specifically sentiment analysis, to meet those objectives while catering to “me-centric” consumers? This isn’t a category that appeals to everyone – or is it? One thing social listening solves is the need to make assumptions about your audience – so don’t! Use sentiment monitoring to find the people passionate about your brand – versus targeting those you assume are. This is how agency Rock Orange helped a client break their record for back-to-school sales. The client, a fast-growing e-tailer in the back-to-school space, had identified “moms” as their target audience – but they needed more to go on if they really wanted to make an impact during this limited, seasonal window. Rock Orange used NetBase to understand the conversations and emotions being shared by moms on social media. They went back two years to the 2013 and 2014 back-to-school seasons to set a benchmark against competitors’ share of voice and impressions, and then dove into what moms were currently talking about. With a list of top items in hand, they explored the sentiment surrounding the conversations these items elicited. One big emotion within the topic of backpacks was concern – for the proper fit, durability, and children’s health while wearing fully loaded backpacks. They also saw positive sentiment around emerging trends like personalization – with moms purchasing black and navy backpacks to offer a blank canvas for kids to decorate themselves. Competitor strategies like look-books and unboxing videos were garnering positive sentiment as well, giving Rock Orange a promotional tactic to offer their client. The agency also compared both owned and earned media to understand what content was most engaging. The e-tailer had their most successful back-to-school campaign to date, gaining a 29% increase in share of voice, and a 20X increase in impressions. Up to 8 million impressions were generated by partnerships. Moms and back-to-school are a pretty easy fit, but depending on your brand, you might need to target a different consumer set. Maybe your audience is dads, or college students, or teachers. Maybe it’s all of the above. The way you nail it down is by finding out what each of these segments is talking about, and see if there’s a connection to your brand or products. Dads who love Star Wars might want your Star Wars lunchbox for their kids. When you identify the most passionate voices talking about your brand, your products, your competitor’s brand and products, or anything remotely connected to your brand’s mission – like giving to charity – you find potential influencers. These are the people exhibiting the strongest sentiment around the topics that matter to your brand, with at least 500 followers of their own. Offer them rewards and discounts, or just make them feel like part of your crew and they’ll amplify your presence. Stance does this well with their Punks & Poets. Just when you think you’ve got the latest trend covered, new ones emerge. Today it’s Pokémon GO, next week it will be something else. Whatever is the hot new thing, you want to be aware of it so you have the option to talk about it – at the very least – or create new products or innovations around it. Social media lets you do research to find out how invested your particular audience is in any trends that come along. Not every brilliant idea your creative team has will be perceived as such by the public. Your customers may like your product line exactly as it is, or they may love an update you’ve been considering when launched by a competitor. Social media provides a real-time, all-the-time, focus group from which you can elicit crucial data about new ideas before wasting resources. These days, before most people call your hotline or shoot off an email, they lodge complaints on social media. This immediately puts your brand in the spotlight – publically – for all to see. Those with similar experiences chime in, and sometimes if things are bad enough, complaints pick up viral steam. This is why sentiment matters so much. If you’re just looking at brand mentions, you don’t know what emotions are attached – and you need to. 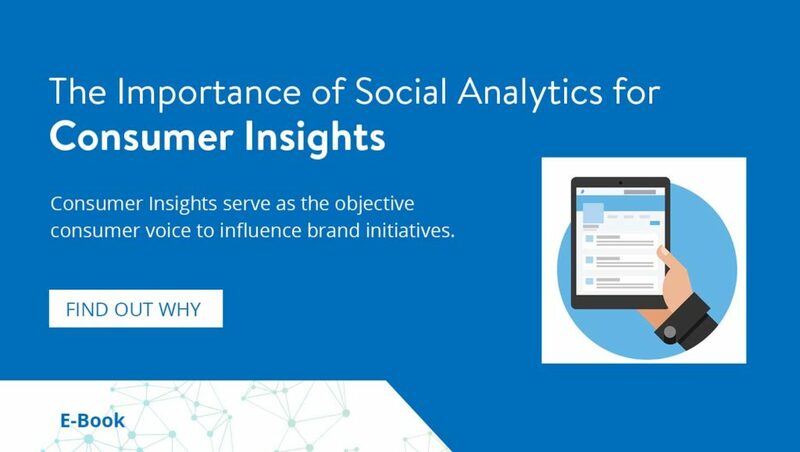 Social complaints must be solved as quickly as possible, and nothing makes the case for real-time analytics better. If you’ve built up great relationships with your influencers, they may step in on your behalf – but that doesn’t mean you don’t have to as well. Nip all social customer service issues in the bud quickly. Whether it’s a customer service issue left unchecked, a former employee bent on throwing shade, or a competitor trying to discredit your brand, social is a fertile breeding ground for negativity to go viral. When it does, it’s not easy to get back to normal – assuming you can – so it’s always best not to let things get to that level. Setting up alerts that warn you when negative sentiment is brewing lets you keep potential crises from exploding. And don’t forget the importance of language, slanguage, emojis and images. Emojis are literally emotions conveyed through images, so it’s important your social media intelligence platform can decipher them. Visual listening to identify misappropriated brand logos is also super important. Speaking of super important – ROI is top of the list for all brands, but according to the latest CMO Survey report, only 15% of marketers can tell the amount of impact social media marketing has on their business. In most cases this is because they’re using inadequate tools that can’t surface the necessary insights from social media. You can’t measure what you can’t see. And you can’t rely on instinct, as many marketers still do. Precision is what matters now – because social moves in real-time, and you don’t have time to waste on trial and error. The point of sentiment analysis is to derive accurate information that can be used to make important business decisions – not just in the marketing department, but across your entire organization. Without sentiment as part of your strategy, you lose out on all of that. And you risk your brand’s very future – it’s that important. So don’t play hooky. For more on how NetBase can deliver sentiment-based insights for your brand, reach out now!